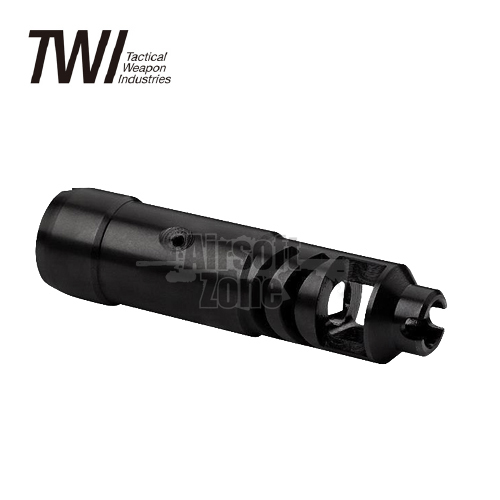 A high quality replica of Red HeatÕs DTK Sturm flash hider/compensator for AK74 and AK100 series. The cut in the front of it is intended for cutting razor wire by holding and shooting it. Might not work in airsoft. 24 CW thread. Full CNC work.